Just a quick tip; I am using Patch files to update some of the settings of my Sitecore instance. 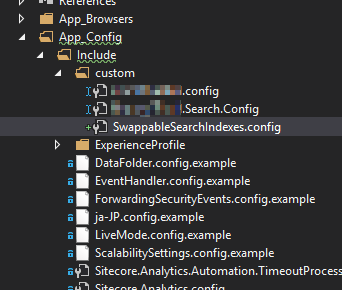 Some of these settings are also patched by the standard Sitecore config files. How do I make sure that they apply last? Well, it turns out they’re processed in alphabetical order. That’s fine, I can prefix files with ‘z’. But there’s an even better tip – subfolders are applied later. So I’ve added a folder called ‘custom’ and it is applied after all the default patch files.